Johnny Mac was a soldier, husband, father and friend. While serving his country, he made the ultimate sacrifice. Now, he serves as our inspiration. 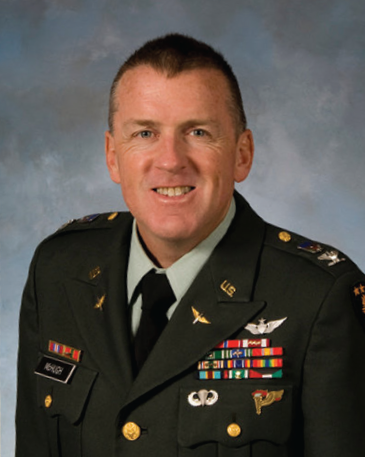 On May 18, 2010, my father, Col. John M. McHugh, was killed in action in Kabul, Afghanistan. He had served for 24 years in the United States Army. It was a complete shock to my family—he wasn't even deployed. My dad was supposed to spend two weeks in Afghanistan’s capital city and then return to our military home in Fort Leavenworth, Kansas, just as he’d always done. As he was supposed to do. However, on that life-altering morning—May 18, 2010—a suicide bomber took the lives of 18 people after driving a Toyota minibus packed with explosives into my dad's military convoy. Five American soldiers, including my father, were killed along with a Canadian colonel and 12 Afghani civilians that day. My dad—my hero—wasn't coming home. My life was forever changed. I was born in Germany while my father was serving during the First Gulf War, and I was in high school when he was deployed for the next. I have lived on the East Coast, the West Coast, in the South, in the Midwest and in Europe—twice. My dad was a West Point grad, a Blackhawk pilot and a colonel in the United States Army. I thought I had made it through the "ultimate Army Brat life" when he would talk about retiring after 25 years of service. What more can an Army child possibly go through, right? I learned the hard way exactly what more an Army kid can go through. I took that step from being a proud Army daughter to an even prouder Gold Star daughter (that's what they call the families of the fallen: Gold Star families). It's like a club—a club you pray you'll never join. But once you're in, you're in for life. The past seven years have not been easy ones for my Gold Star family; however, through the help and support of organizations like Johnny Mac Soldiers Fund, we have been able to continue moving forward. After spending eight years as a pilot in the United States Army, my older brother, Michael, recently got out of the military and began working as a commercial pilot with PSA. My younger sister Kristen is a recent graduate of Liberty University. Through the help of Johnny Mac Soldiers Fund, she was able to obtain her degree in Family and Child Development in May 2016. My two youngest siblings—Maggie and David—are not yet in college; however, through the help and support of Johnny Mac Soldiers Fund and the hard work ethic instilled by both my dad and my incredibly strong mom, I know that the opportunities that lie ahead for them are endless. As for me, I was able to graduate from Kansas State University on May 18, 2013—three years to the day since my father was killed—and begin my career as a writer. Since my father was killed in action, I have learned that I will never completely heal, but that’s okay. My life has taken on a new normal. I can allow my father's death to hold me back, or I can use it as motivation to move forward and help better the amazing country for which he died. Every day, I am moving forward to make my soldier proud.